This past summer, I read a newspaper article announcing that the State of Virginia was closing many of its highway rest stops because of the State’s budget shortfall. A few weeks later as I drove along Virginia’s major thoroughfare, Interstate 95, I observed that all but one or two of the rest stops between the North Carolina border and Washington, D.C., had been closed. Big orange cans blocked the entrances. For a Virginia personal injury attorney who has represented victims of hundreds of truck and car accidents over the past three decades, this was upsetting news. I had recently handled and eventually tried a tragic case in a Henrico County court. The college student I represented suffered extensive injuries when he was involved in a single vehicle collision on Interstate 64. Along with his fencing teammates, he was traveling to an intercollegiate game in the coach’s car. His coach fell asleep at the wheel, and the . car veered off the roadway and crashed into a tree. One student was killed, and another student, like my client, was badly injured. Because of the closure of the majority of Virginia’s highway rest stops, I am concerned there are likely to be more accidents caused by sleepy drivers like the fencing team coach in my case. We’ve had state owned and operated rest stops since the inauguration of the interstate highway system in the 1950s. These facilities provide an essential service for all drivers and their passengers. There are rest rooms available, picnic tables where families can eat, vending machines for coffee and soft drinks, and walkways where drivers and passengers can stretch their legs and get some fresh air. The most important thing rest stops offer, however, is a place where tired drivers can exit the highway safely, rest, get a cup of coffee, and even take a nap when necessary. Many rest stops also have special sections that accommodate tractor-trailer trucks whose drivers often drive at night and are frequently sleep deprived because of their heavy and sometimes unpredictable work schedules. With the closing of these rest stops, I am certain there will be more tired drivers on the interstate highways and a greatly increased safety hazard – resulting in more catastrophic, high speed crashes. For years, driving studies have confirmed that sleepiness is a primary factor in many off-road accidents. As long ago as the early 1990s, the National Highway Traffic Safety Administration (NHTSA) estimated that driver drowsiness and fatigue contributed to cause as many as 100,000 crashes every year. During that same time period, NHTSA concluded that over 1500 people were killed annually in accidents caused by sleep deprived drivers. In fact, these figures may be low because states follow different accident reporting practices, and many drivers refuse to admit they fell asleep at the wheel before an accident. You’ve probably seen drowsy drivers on the road yourself, even though you may not have realized it at the time. To explain, I will use some technical terms and phrases adopted by traffic safety experts to describe the dangerous driving behavior of some sleepy drivers. When you observe “lane excursions” (drivers who travel beyond their lane boundaries when not making a lane change), “lateral placement variance” (the square of the standard deviation of lateral placement averaged over 100 meter segments — best known as “weaving” back and forth within one travel lane), and “steering wheel position variance” (slumping over or near the wheel), you’re probably looking at a driver who has fallen asleep. Needless to say, you want to keep a safe distance from vehicle operators engaged in any of these driving behaviors. In recent years, rumble strips and other highway design aids have been used to warn or awaken drivers who fall asleep while driving. Unfortunately, these aids don’t always rouse a driver fast enough to ensure he can take quick action to avoid a crash. Often on being awakened by one of these aids, a sleepy driver will overreact and cause a crash anyway. Let’s hope auto manufacturers will soon design an early detection warning system to alert a driver that he is falling asleep and is becoming a danger to himself and others. One of the best things that could happen, however, is for the State to reopen its highway rest stops as soon as possible. Sleepy drivers need convenient places to stop on the highway so they can rest before continuing their journeys. Whenever a drowsy driver takes time for a much needed break, the rest of us are all the safer for it! About the Author: Ted Allen is a Richmond personal injury attorney with the law firm of Allen & Allen. 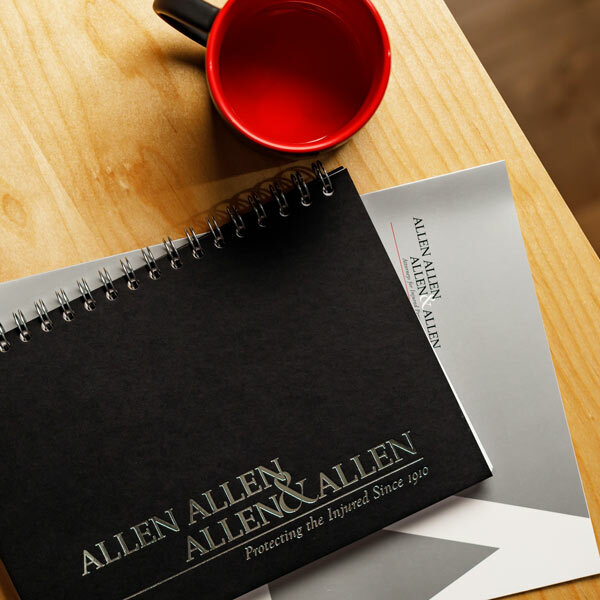 For over 35 years, Mr. Allen has handled cases involving highway accidents and tractor trailer accidents for Virginia clients.